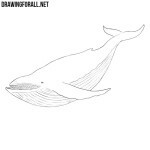 In one of our prvious tutorials we showed you how to draw a whale. 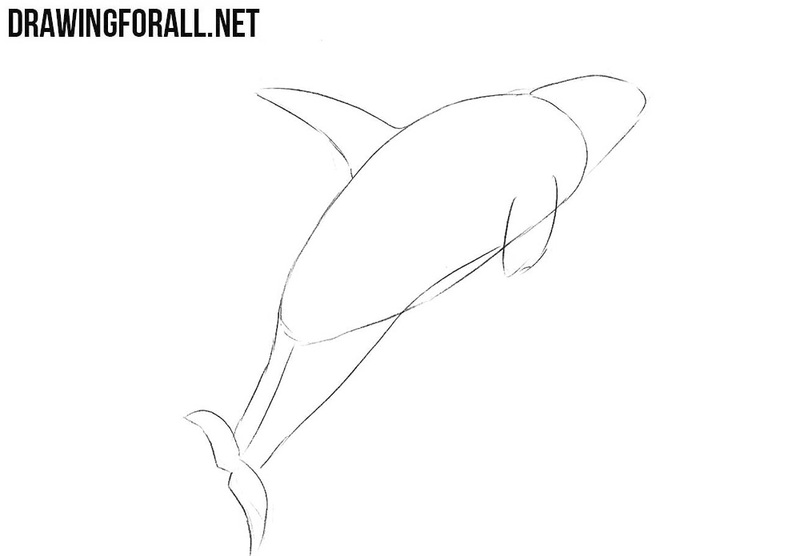 In this lesson we continue this theme and want to tell you how to draw a killer whale. 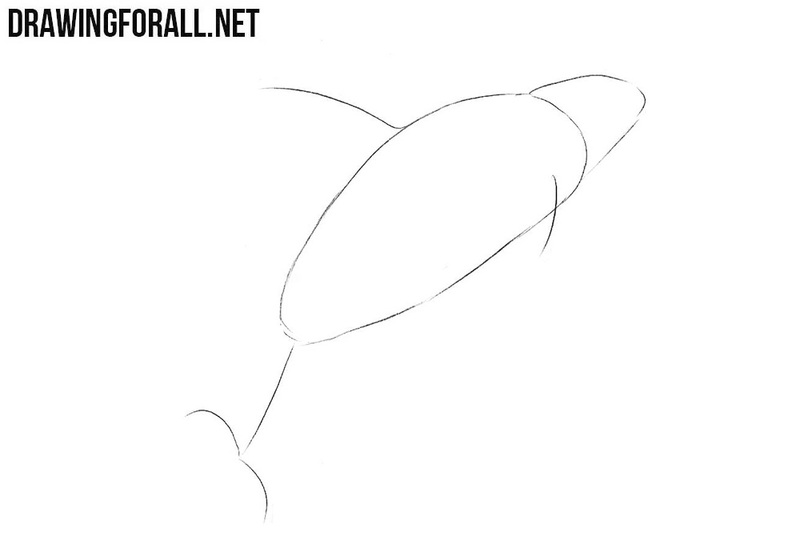 Draw a large oval as a guide for the massive body of our killer whale. 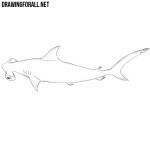 Next, outline the head, tail and fin location lines. Now thicken the tail and fins. 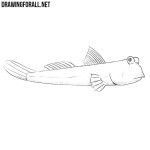 Note that the pectoral fins are slightly rounded. 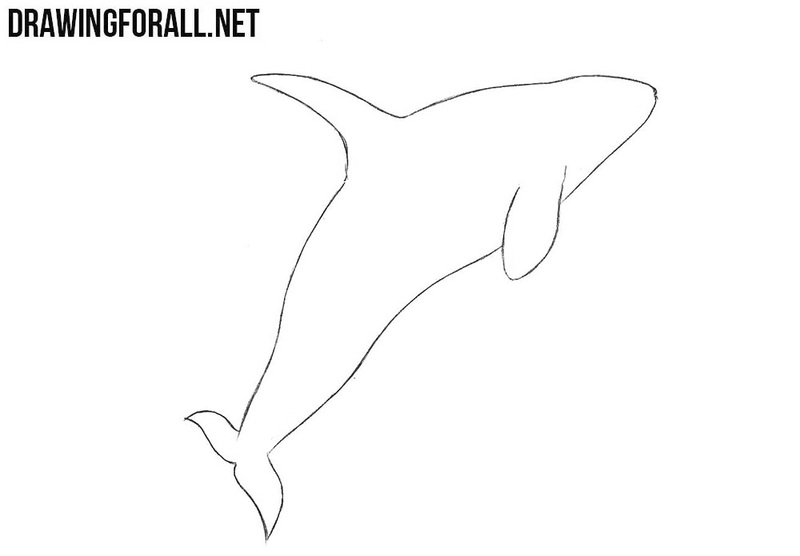 Erase all the auxiliary guidelines, draw out the draw of the whale with clear and smooth lines. 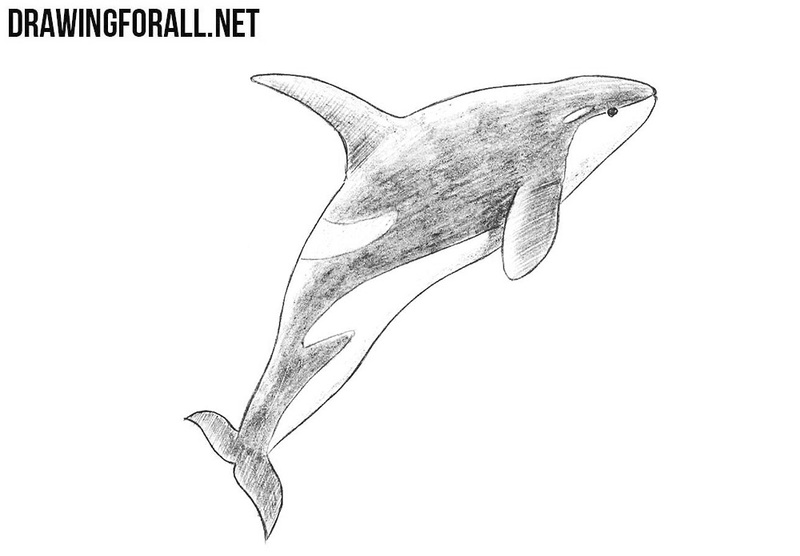 Now draw a round eye and patterns on the killer whale’s body. Now paint the desired areas of the pattern on the body of the killer whale. Do not forget to add shadows to make the whale more realistic. 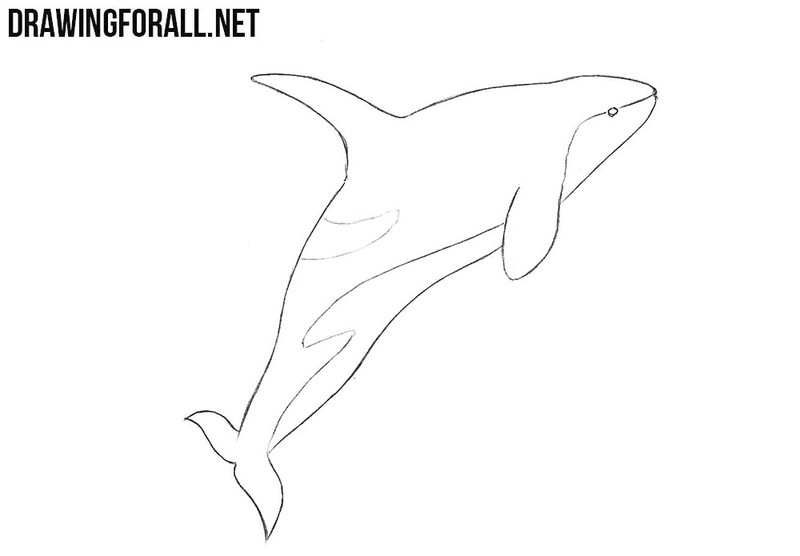 In this lesson we gave you the basic principles of how to draw a killer whale. 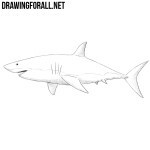 It is very important not to forget that in our lessons we give the basic principles of drawing. 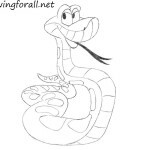 Using the principles from our article try to draw this animal in most different poses and from different angles. And at the very end of the lesson, the most important advice for artists, especially for beginners artists. The main thing in drawing is practice. 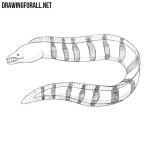 The more you practice drawing, the better your drawing abilities become.